Relocating? Learn about Brownsburg Indiana. Located on the west side of Indianapolis is the town CNN Money ranked as the 33rd best place to live in the country in 2009 survey. Low crime, a strong economy and excellent schools were cited as big factors behind the ranking. But rankings aside, there’s something to be said for “charm” and “personality,” and on both counts, Brownsburg succeeds. With a population of just over 21,000 according to a 2010 census, Brownsburg is a small town, to be sure. But it is precisely this “small town” quality that makes this such a desirable place to live and own a home. With its “old town” charm, and the many mom-and-pop establishments that dot the streets, downtown Brownsburg offers a nice retreat from the hustle and bustle that lie just 20 minutes to the east, in downtown Indianapolis. Brownsburg may be small, but there are a number of popular things to do and see. 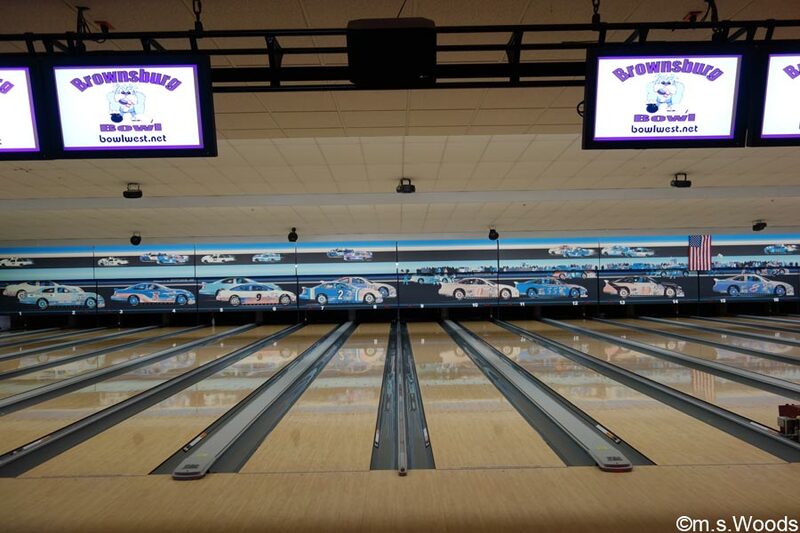 Here are just a few examples of fun attractions and things-to-do you’ll find in Brownsburg. The B&O Trail is one of the more historic attractions in central Indiana. Competed in the late 19th century, this railroad line served the Baltimore and Ohio (B&O) company well into the 1960s. But the decline of railroad traffic post-WW II eventually led to abandonment, until 1994, when the Rail Corridor Development, Inc. (now B&O Trail Association, Inc. (BOTA)), and Hendricks County Trail Development, Inc. (HCTDA), launched an effort to revitalize the community by turning this former rail line into a community recreational resource. 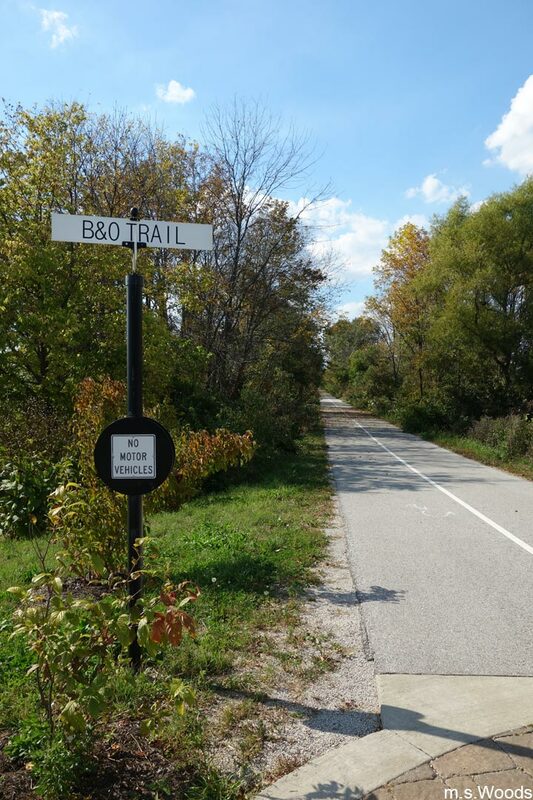 The result is a beautiful public trail system, the Brownsburg portion of which stretches over 3 miles, and offers tree-lined, paved trails that pass through residential communities and the rural countryside. The western section of the trail runs just under 2 miles, from State Route 267 to E. County Road 300 North. 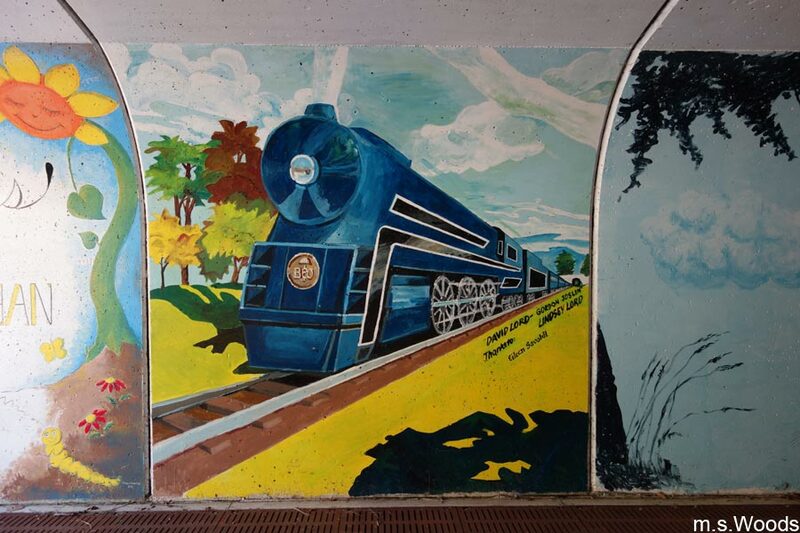 While the eastern section runs about a mile, from Ronald Reagan Parkway to County Line Road (N. Raceway Road), and includes a short tunnel under Ronald Reagan Parkway that is painted with several artistic murals. 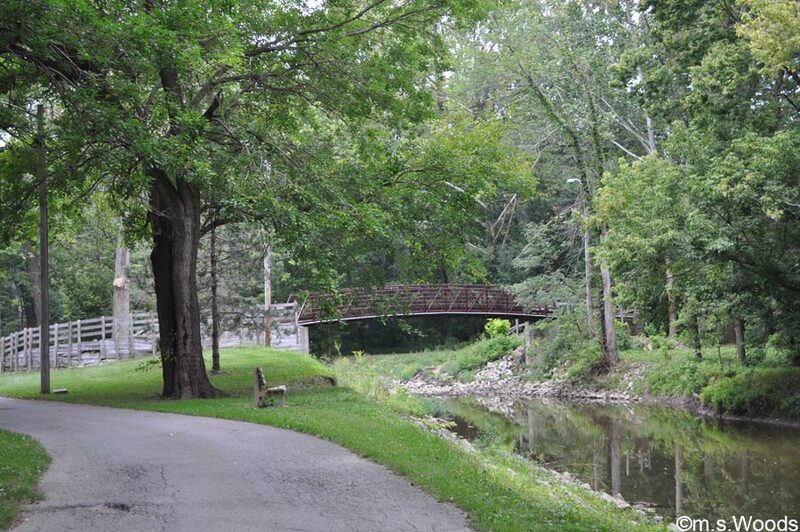 The trail represents a very safe and well-maintained public resource, and is one of the most popular attractions in Brownsburg. Future plans include an extension of the B&O Trail to the nearby town of Speedway. 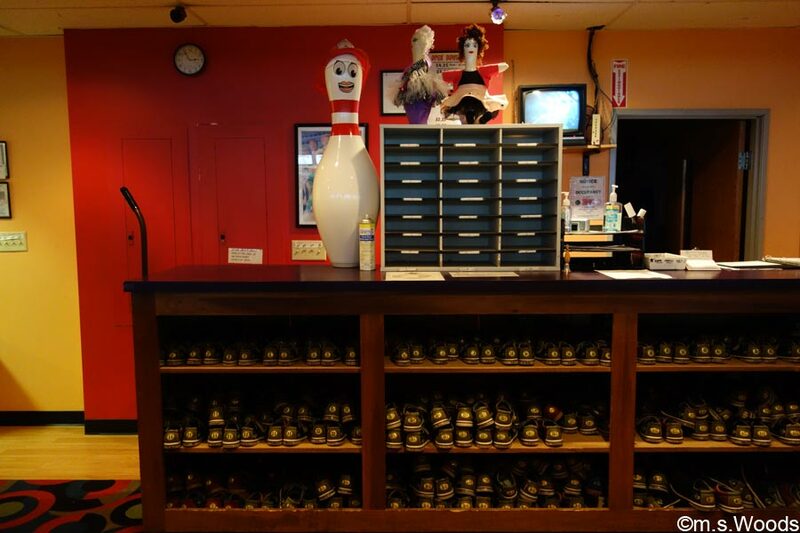 Located at 18 Whittington Drive, Brownsburg Bowl is a fun bowling facility that offers 28 lanes of bowling, two pool tables, an arcade area for the kids, and even decent snack bar that serves a variety of sandwiches, appetizers and pizza. Other amenities include automated scoring, synthetic lanes and approaches, and a party room for social events, like birthday parties, family get-togethers, etc. 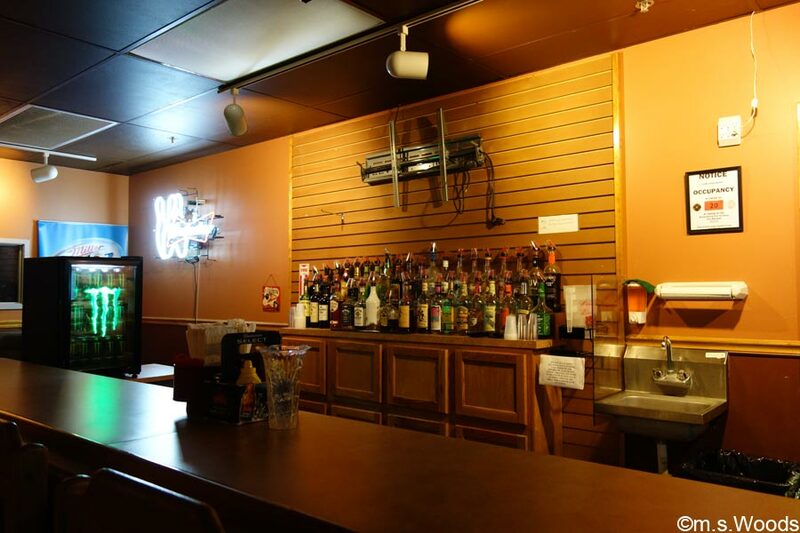 The Dog House bar is adjacent to the bowling alley, and offers a fully-stocked bar where guests can enjoy a cold adult beverage. 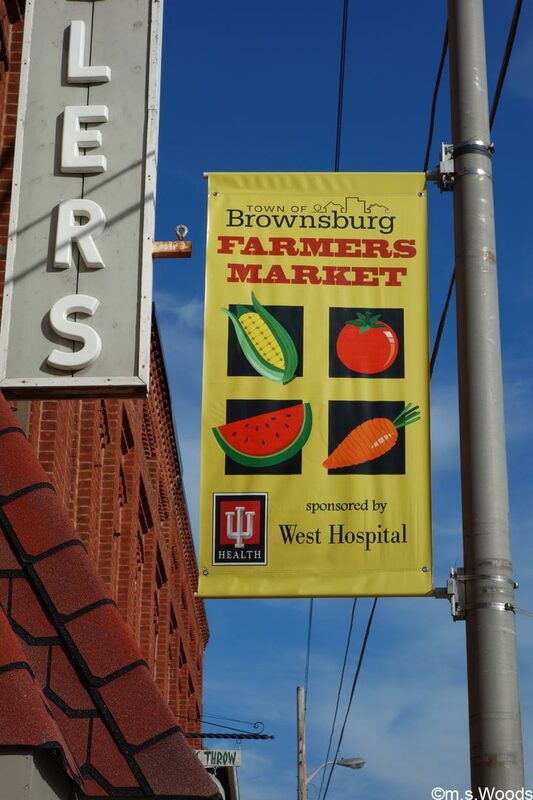 The Brownsburg Farmer’s Market is a favorite destination among west-siders in search of locally produced goods. Starting around the first week of June, and running through early September, the market sets up shop on the Brownsburg Town Hall Green every Thursday, from 4 to 7 p.m. It’s a great place to find all kinds of locally-grown produce, artisan baked goods, meat, honey, bread, dairy, and an assortment of handcrafted items. 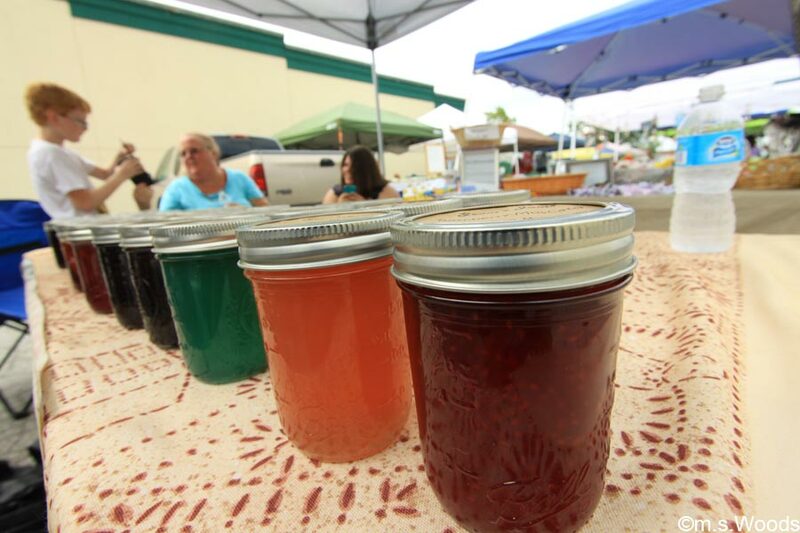 In fact, readers of the Hendricks County Flyer, a local newspaper, voted the Brownsburg Farmers Market the “Best of Hendricks County.” It’s not uncommon for the opening day of the season to kick-off with a live music event. 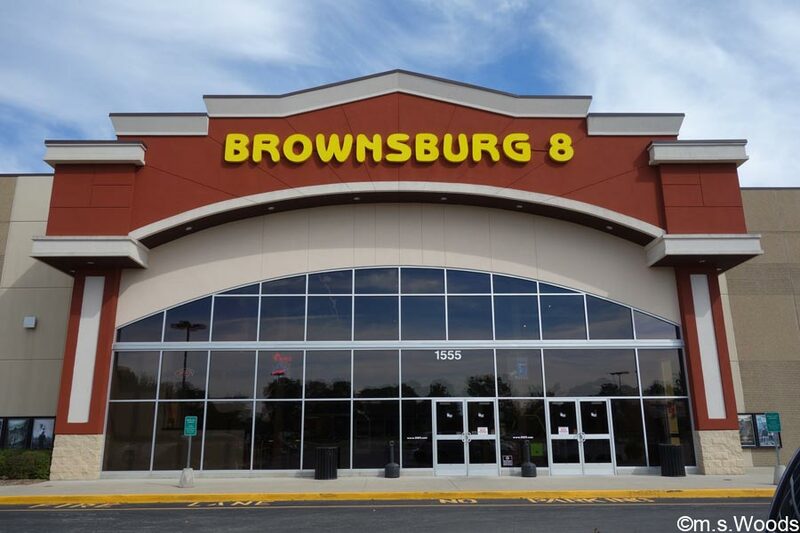 The Brownsburg 8 Movie Theater is located at 1555 N Green Street in Brownsburg. As the name suggests, it is a multiplex cinema venue that offers 8 different theaters. The midnight movie is a popular passtime among locals. Overall, this is clean and comfortable theater, with good seating and friendly staff. 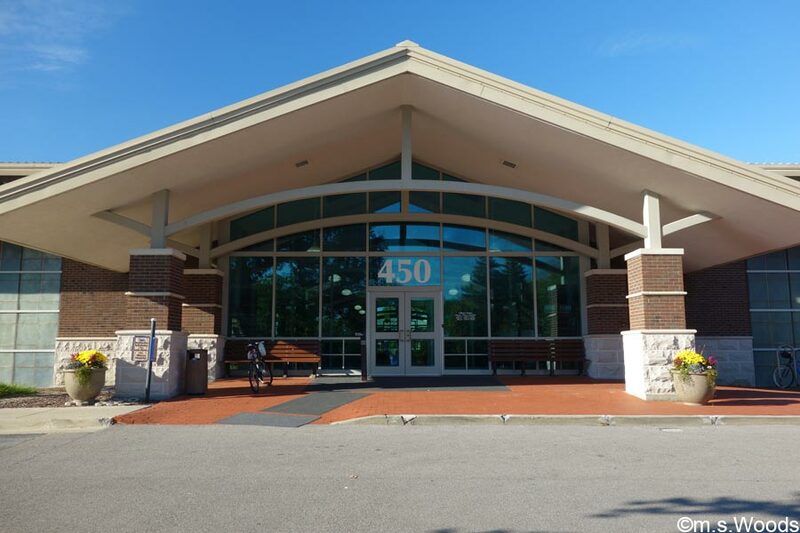 Located at 50 S Jefferson Street, the Brownsburg Public Library is a great place to study, meet-up in groups, or just hang out read. The library offers computer services, including computer games that help with literacy and learning. 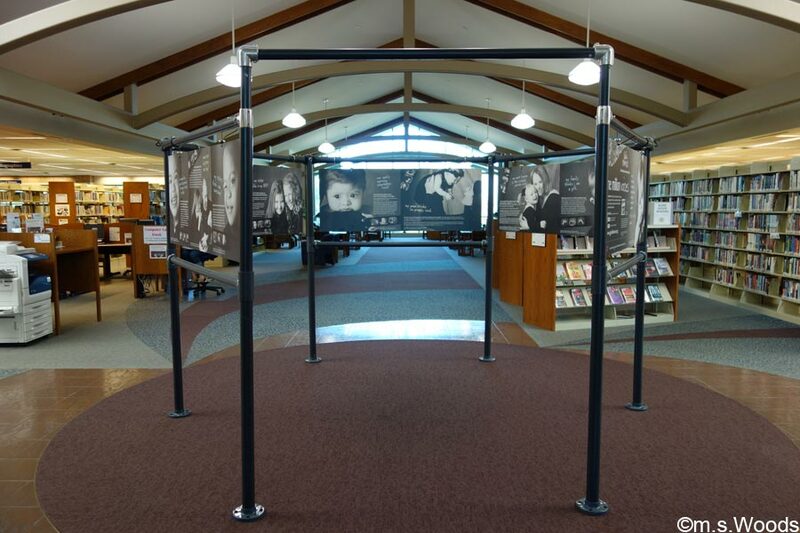 The children’s area is huge, and frequently offers several free classes for children. They also offer many different activities for teenagers, many of which are free, and all of which are affordable. 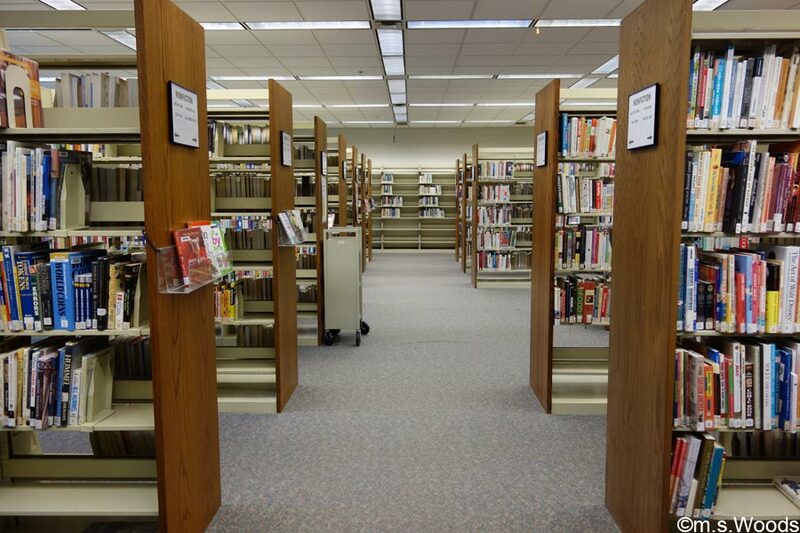 Overall, this is a very pleasant library with lots of space and plenty of activities to keep your interest, from books, magazines and newspapers, to DVDs, books-on-tape and other media. And to think, all it takes is a library card to enjoy this wonderful resource. 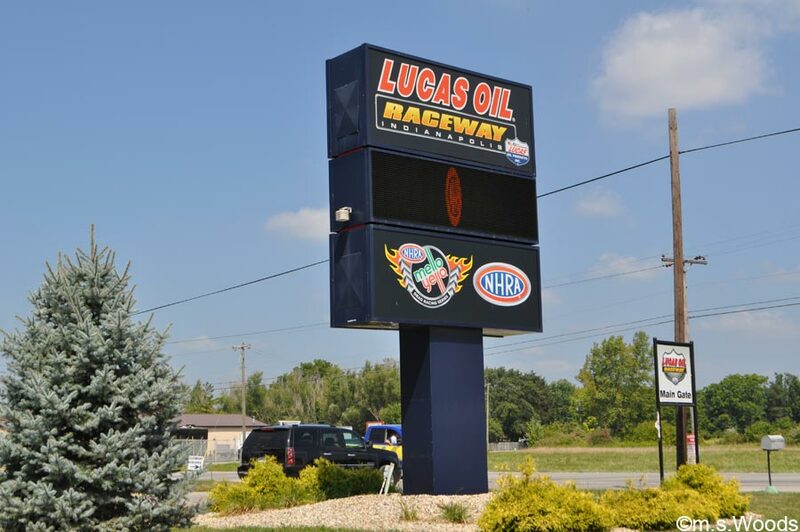 While it is technically located in Indianapolis, at 10267 E US Hwy 136, Lucas Oil Raceway is as big a part of Brownsburg culture as it gets. The raceway is comprised of a .686-mile (1.104 km) oval, a 2.5-mile (4.0 km) road course, and a 4,400-foot (1,300 m) drag strip. 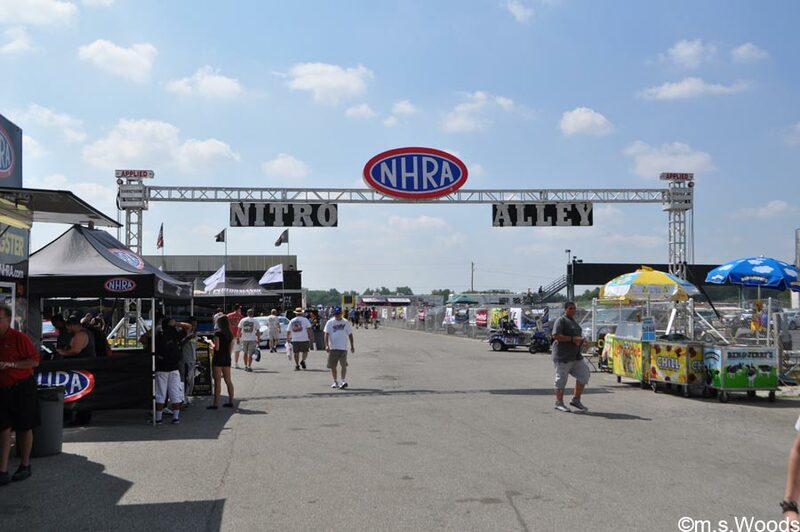 This immensely popular raceway is home to several high-profile racing events, most notably, the NHRA Mac Tools U.S. Nationals, which has been held at the raceway since 1961. Past events have included the Hoosier Grand Prix (1961–1973), NASCAR Nationwide Series (formerly Busch Series), and NASCAR Camping World Truck Series (formerly Craftsman Truck Series) and Fast Masters (1993). 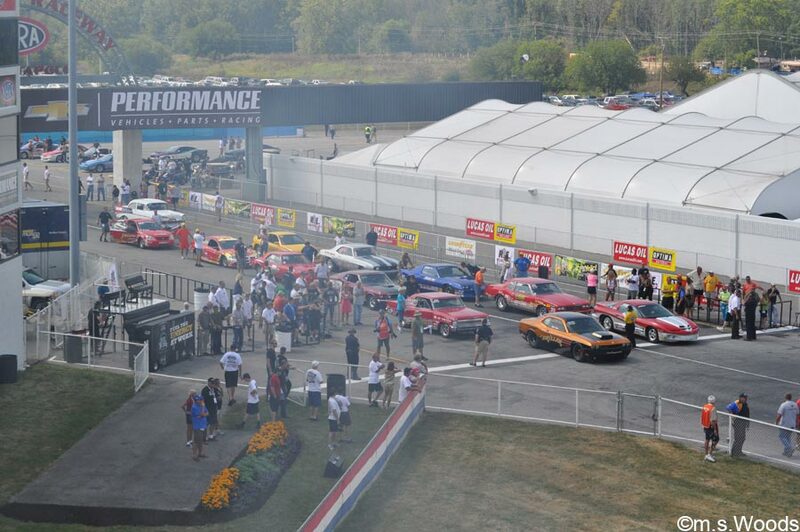 The most popular part of the raceway is undoubtedly the 4,400-foot dragstrip. 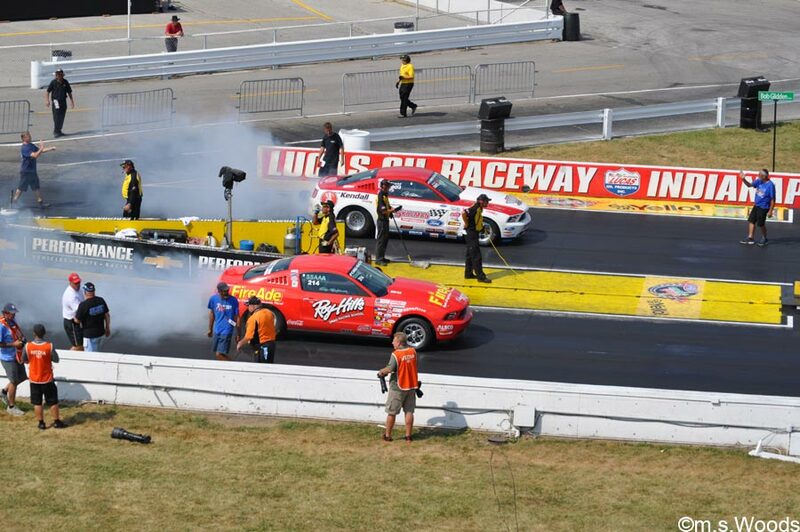 Every year, the NHRA U.S. Nationals take place during on Labor Day. The winners of racing division take home a $100,000 prize. 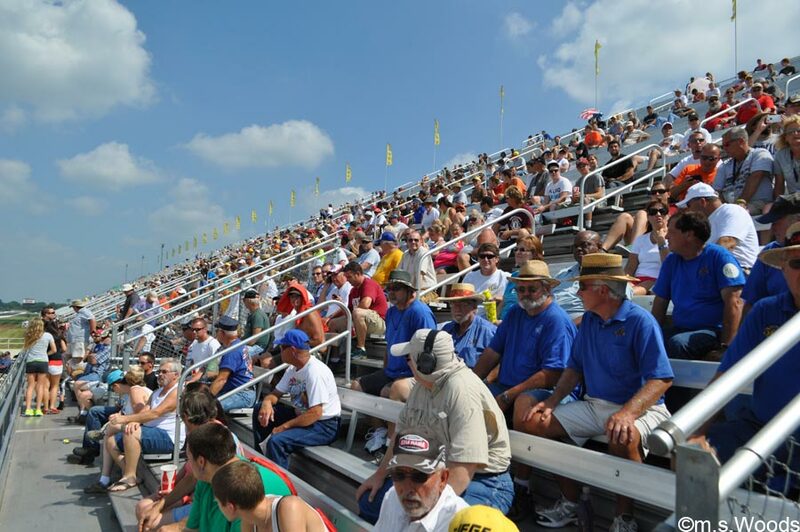 Big crowds flock to the raceway during the summer months to see top events, like the all-star Traxxas Nitro Shootout. 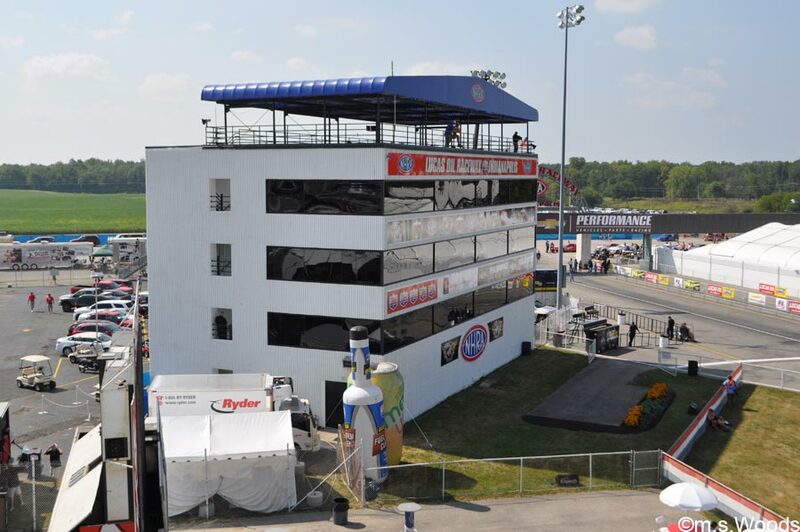 And for those who prefer to watch the races from a more comfortable chair, the raceway offers several luxury suites that are available either for yearly rental, or on an event by event basis. 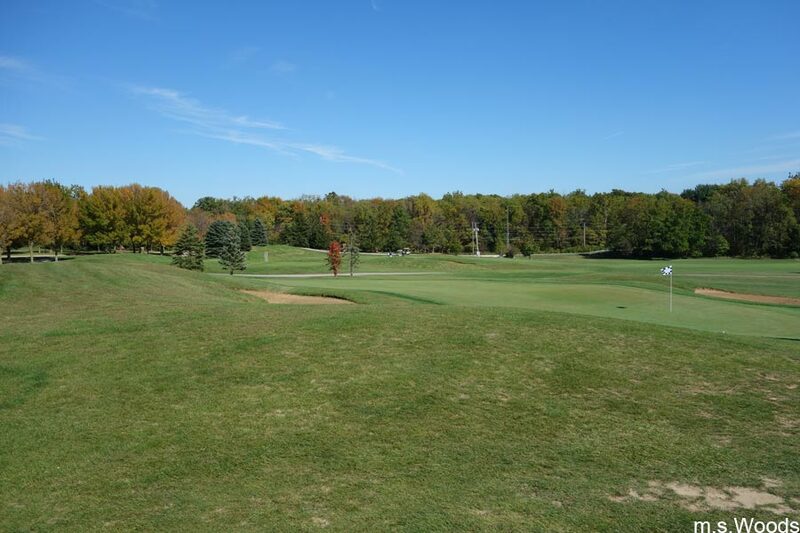 West Chase Golf Club is located at 4 Hollaway Blvd in Brownsburg. This championship-caliber, 18-hole course was designed by the legendary by Ron Kern, and opened in 1996. It is a semi-private club that features 6,700 yards of golf from the longest tees for a par of 71, a club house, snack bar, driving range and practice green for all the true students of golf. While the course is one of the longest from the black tees, it is one of the shortest from the burgundy tees. 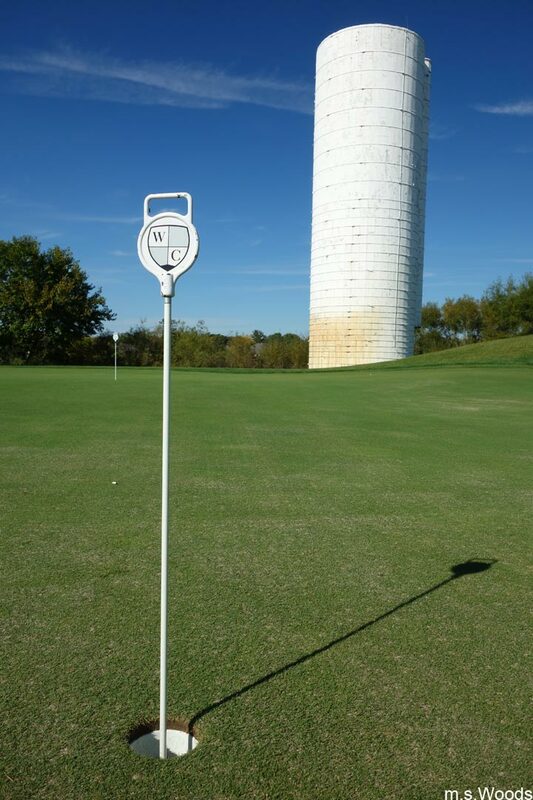 The green tees also have a women’s version that has the same course length but a higher slope rating. The black tees span 6,700 yards, the gold tees 6,239 yards, the green tees 5746 yards, and the burgundy tees 4,839 yards. 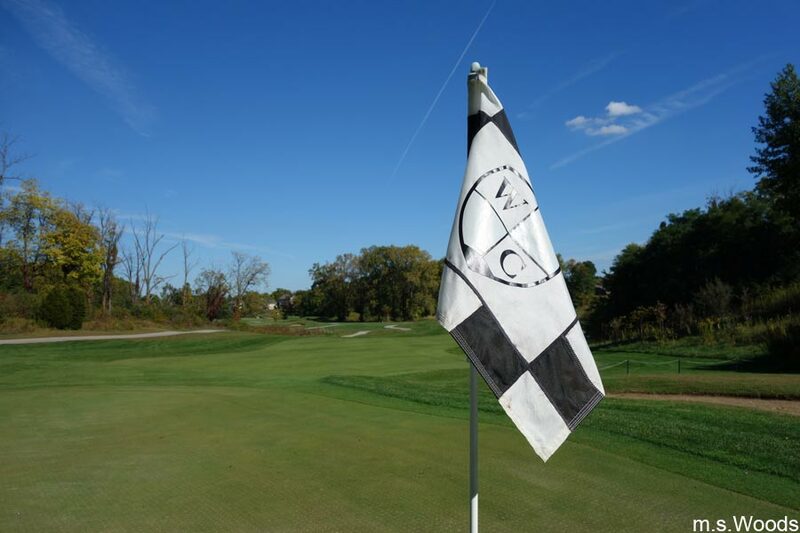 Each hole at West Chase Golf Club has a nickname, from “Royal Dornach” (the sixth hole) to “Widow” (the fourteenth hole), and there are four different tees so golfers of all skill levels can enjoy the twisting course. 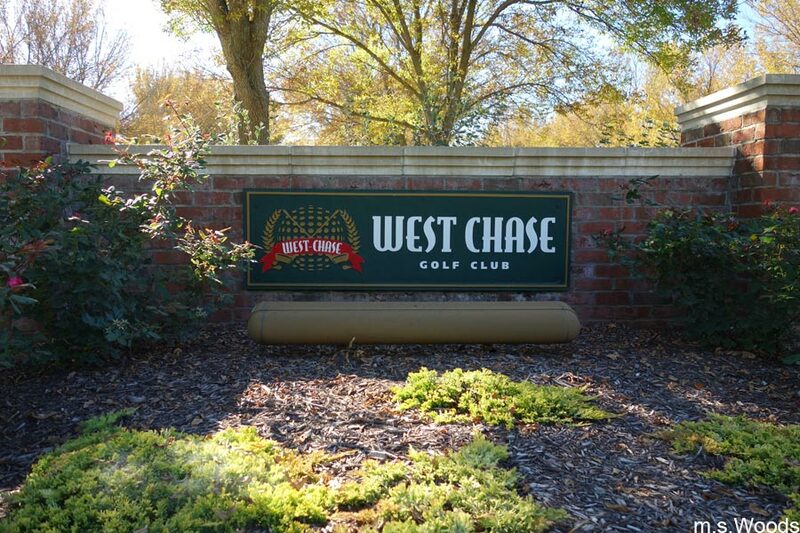 The West Chase Golf Club is home to a variety of tournaments, and is also a popular course for golf outings and other corporate events. 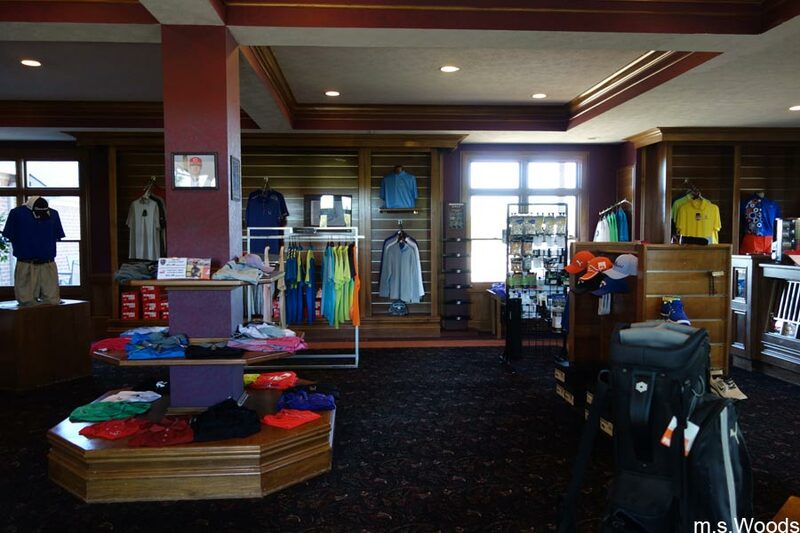 Club amenities include a fully-stocked pro shop, putting green, chipping area, practice bunker, food and beverage, rental clubs and a driving range. 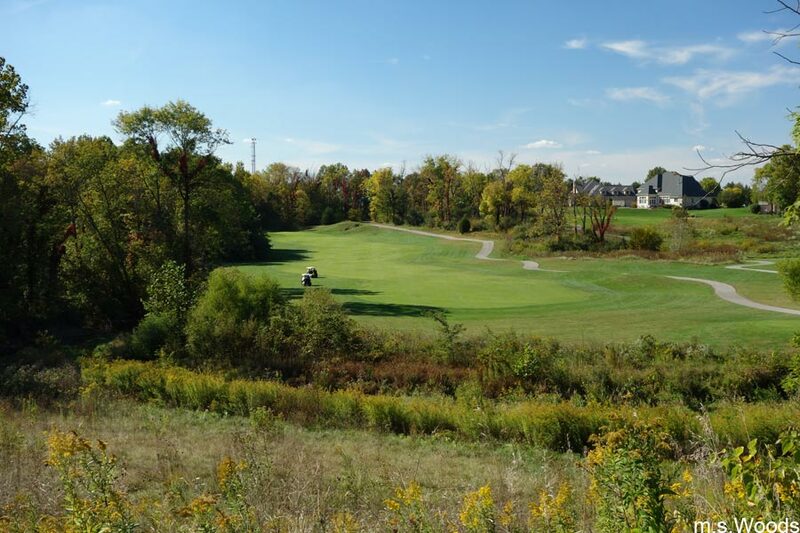 The West Chase Golf Club is nestled among a residential community, and includes nine links-style holes and nine traditional holes. The front 9 is a links style course, where having a good ground game is what matters the most. In contrast, the back 9 is more of a traditional layout that cuts rolling terrain and bent grass fields. 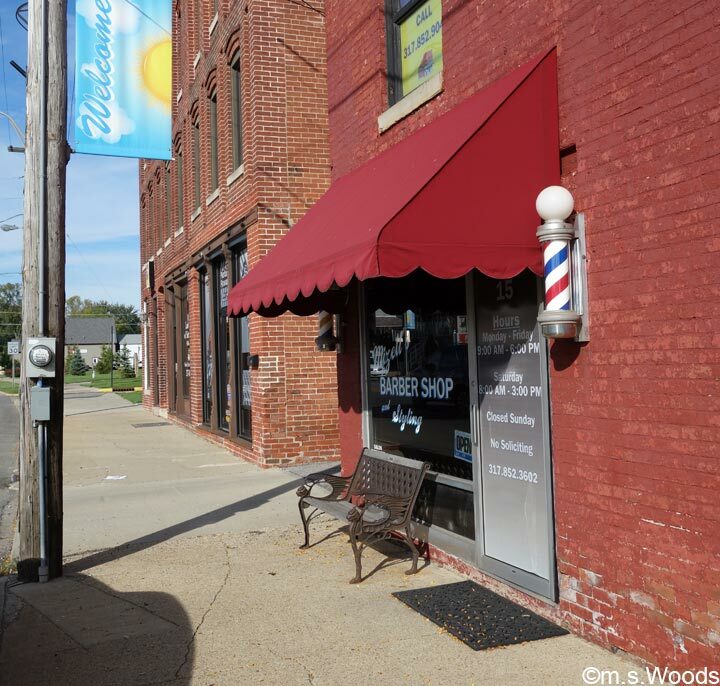 While Brownsburgis by no means a mecca of comerce, locals love to walk the sidewalk in downtown Brownsburg, which is home to several locally owned establishments that sell everything from hand crafted soy wax candles to antiques to hand-made candies. 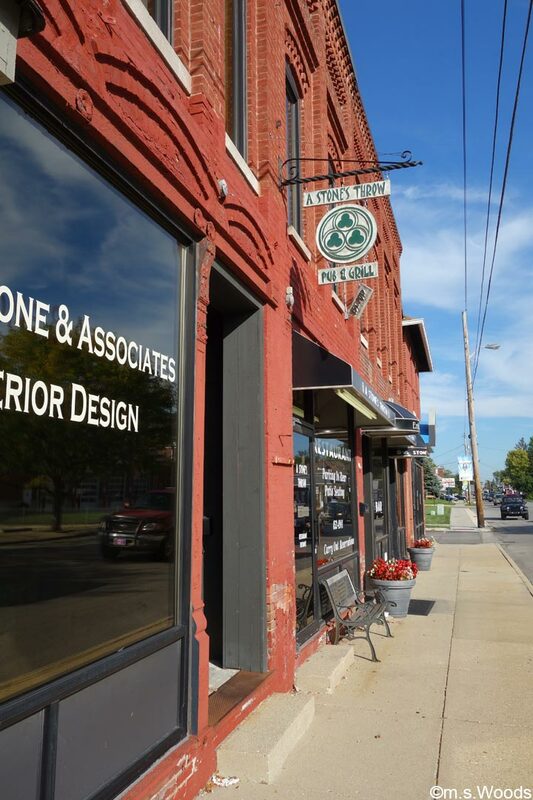 Here are just a few examples of locally-owned businesses you’ll find in Brownsburg. 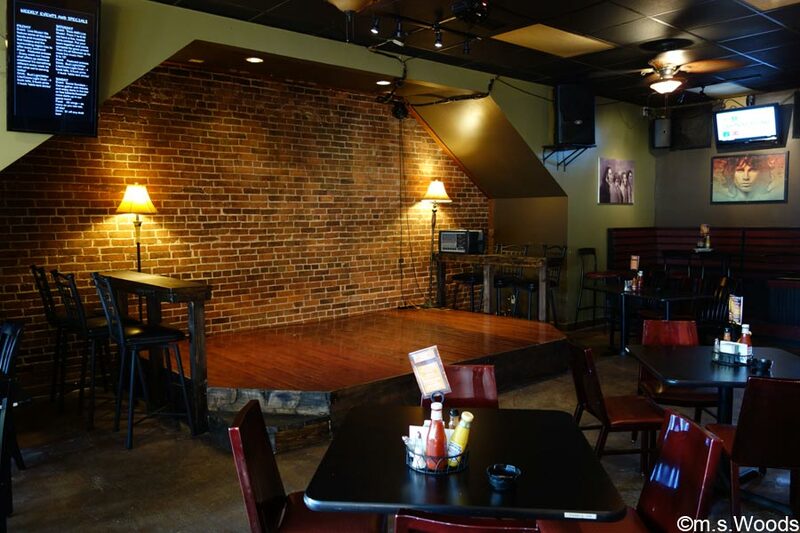 A Stone’s Throw is a humble little gastropub located at 36 E Main Street in Brownsburg. They offer draft beer, live music and gourmet food. One especially popular feature: A giant heated tent on the patio. Oh, and they even make their own homemade pickles! 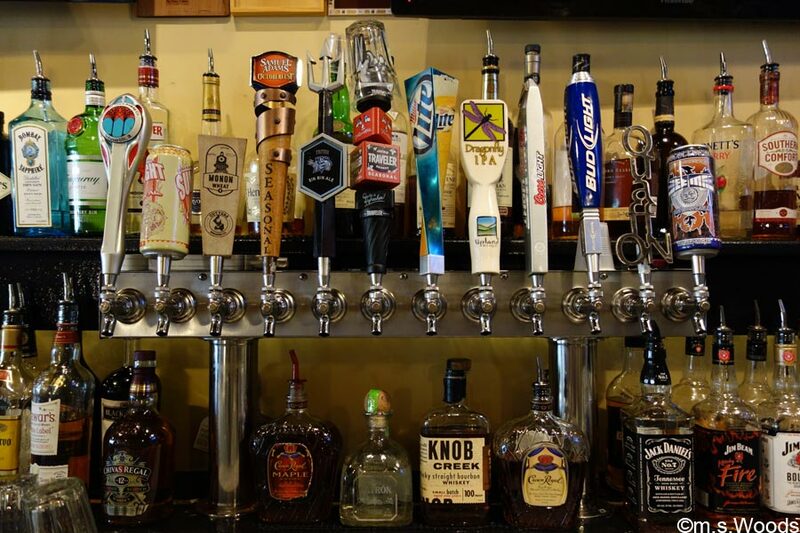 They serve a variety of beers, including draft beer from the local Sun King Brewing company. A Stone’s Throw is a great place for live local music in Brownsburg. They have a dedicated stage, and sound system. 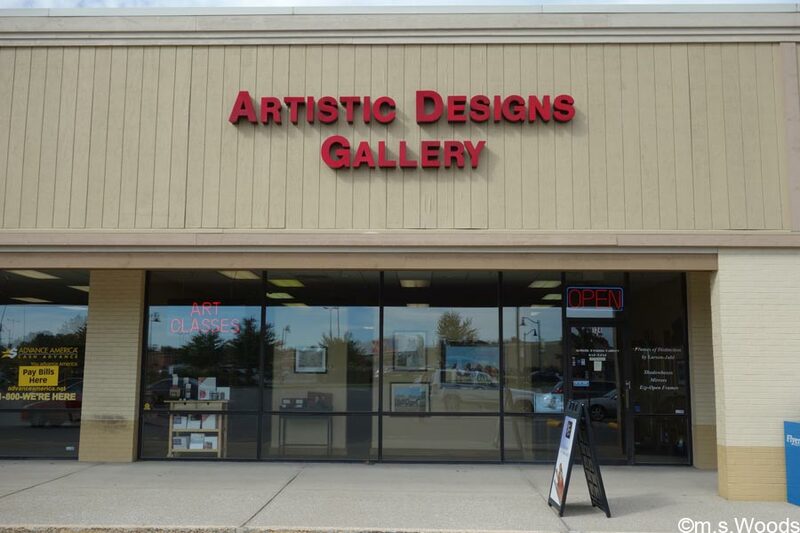 Located at 124 E Northfield Drive in Brownsburg is a neat little gallery and custom framing business called Artistic Designs. 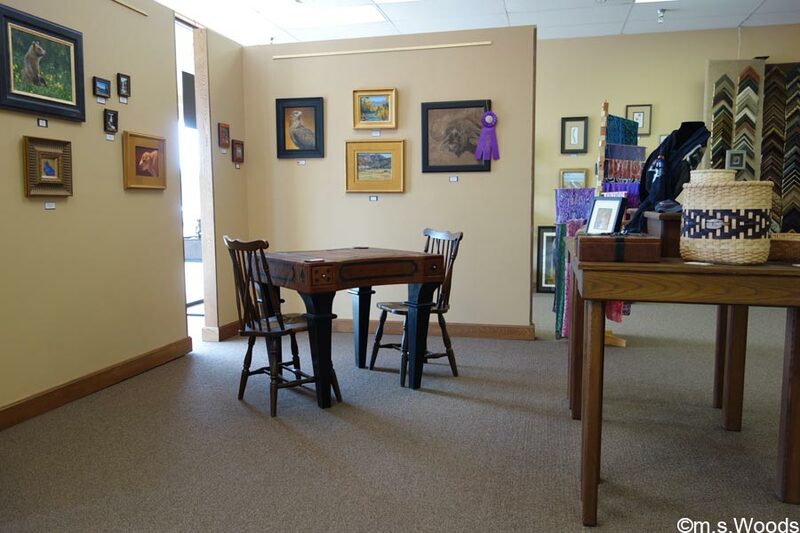 IN addition to creating custom frames, this locally owned business features fine art on display from internationally renowned artists. Owner Laura Tesdahl is a local artist who purchased the business from the previous owners, Joe and Debbie Ashby. While working at the gallery, she was so impressed that she agreed to purchase their shop when they retired, on the condition that they promised to train her. And that’s exactly what they did. Laura graduated from the University of Dayton. 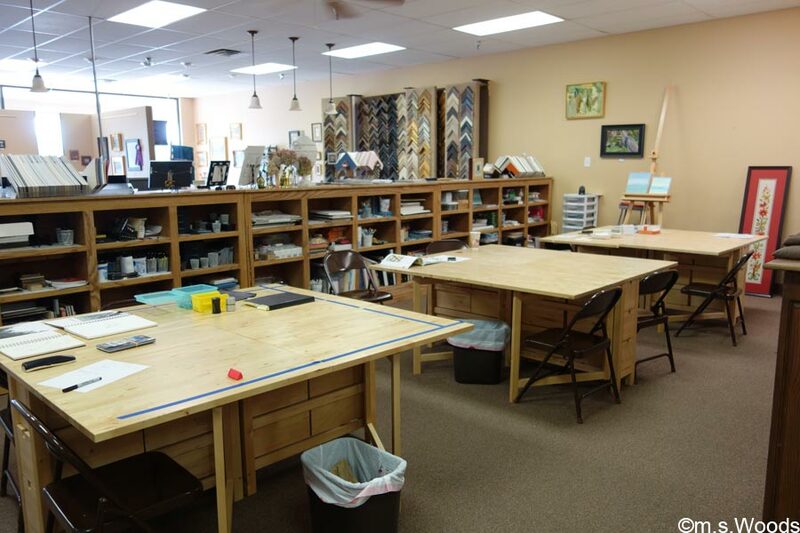 Artistic Designs offers classes in drawing and painting, in addition holding workshops with other local artists in a variety of media. 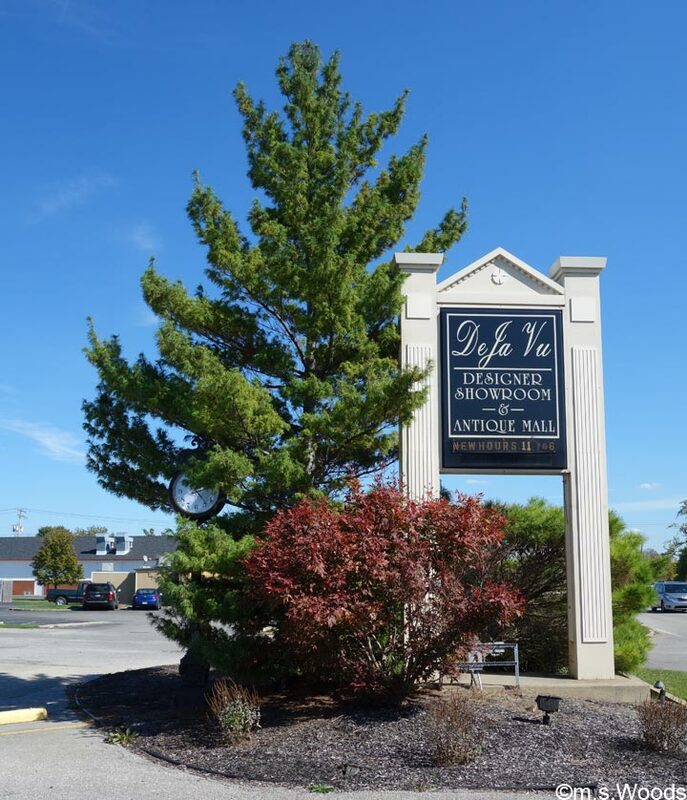 Deja Vu Designer Showroom is located at 1060 E Main Street in Brownsburg. 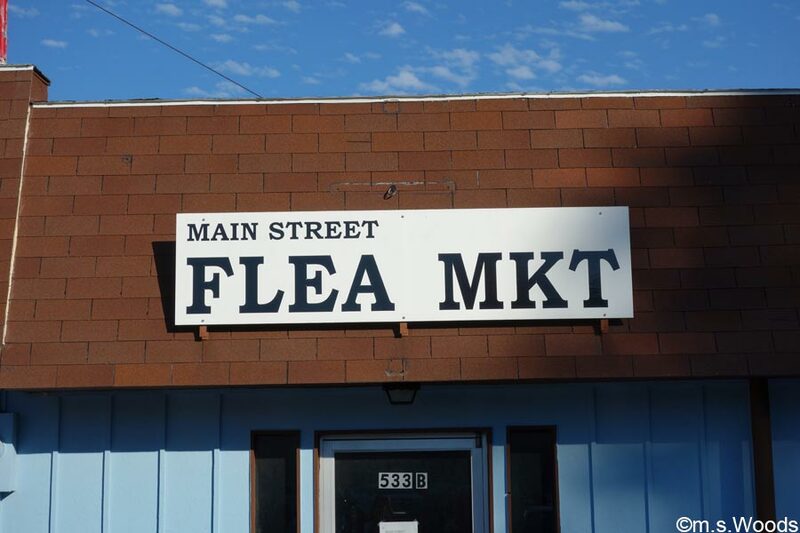 This is a fun store that offers many unique antique items that are hard to find in the large chains. 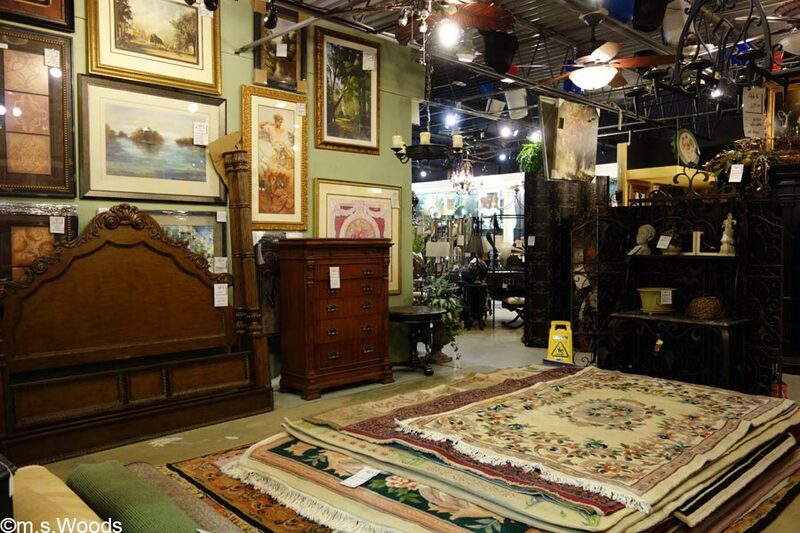 They also offer many items on consignment, which are mixed in with the normal inventory of home furnishings. Pieces range in price from just a few dollars to several thousands of dollars. 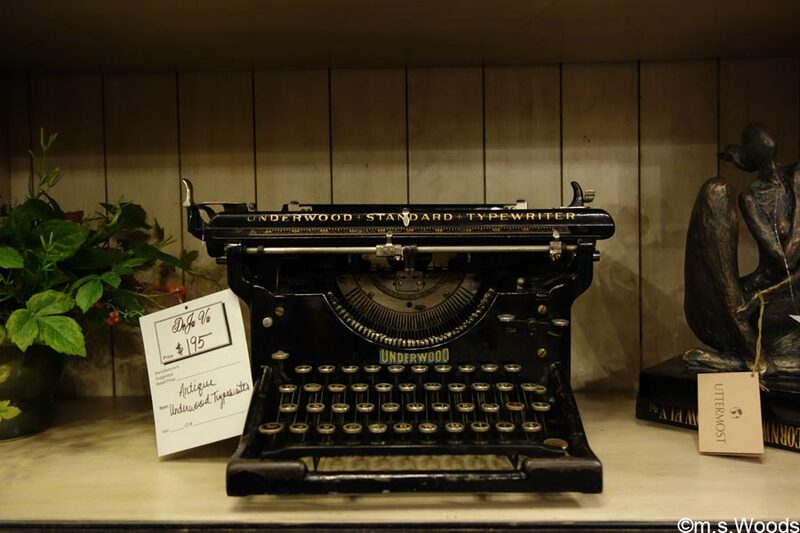 Whether you’re looking for antiques, or upscale furnishings with character, this place is worth checking out. They also sell artwork, furniture, lighting, and tons of accessories. 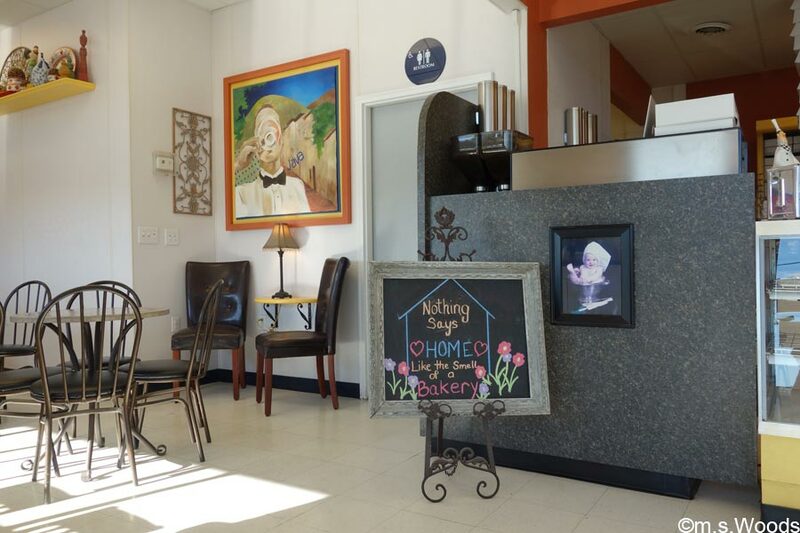 Located at 804 E Main Street in Brownsburg, the Hilligoss Bakery is family-owned business that has earned rave reviews among the locals. Word has it, the original glazed yeast donuts are to die for! Talk about charm and appeal, the inside of this gourmet doughnut shop is adorned with cool furniture, and even cooler wall art. You’d never guess from the outside that this would be such a warm and inviting place on the inside. Shopping in Brownsburg takes on a decidedly small-town feel. 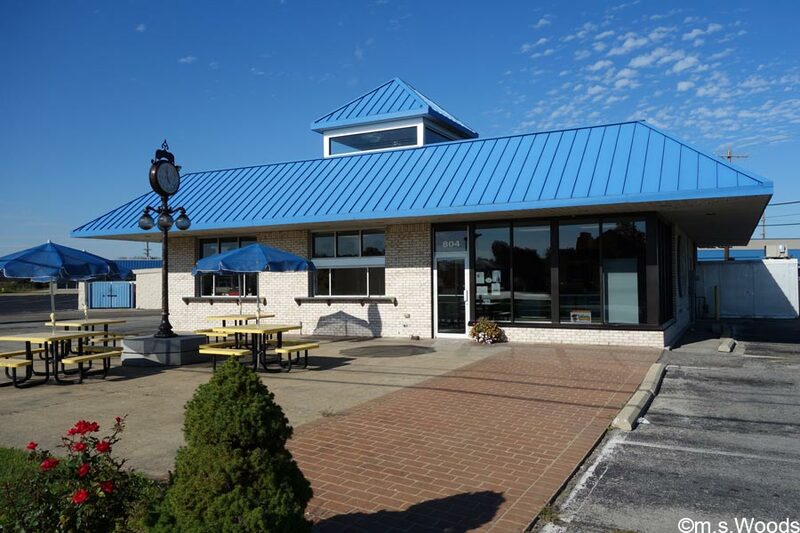 There are 4 strip malls in Brownsburg: Brownsburg Shoppes, Green Street Square, Main Street Flea Market and Main Street Shoppes. 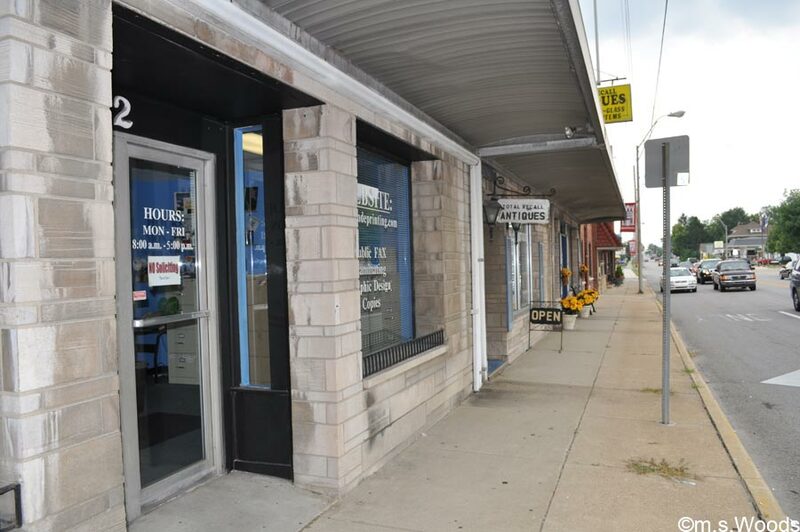 Other shopping centers in Brownsburg include the Main Street Flea Market, Eaglepoint Village and Brownsburg Square Shopping Center. 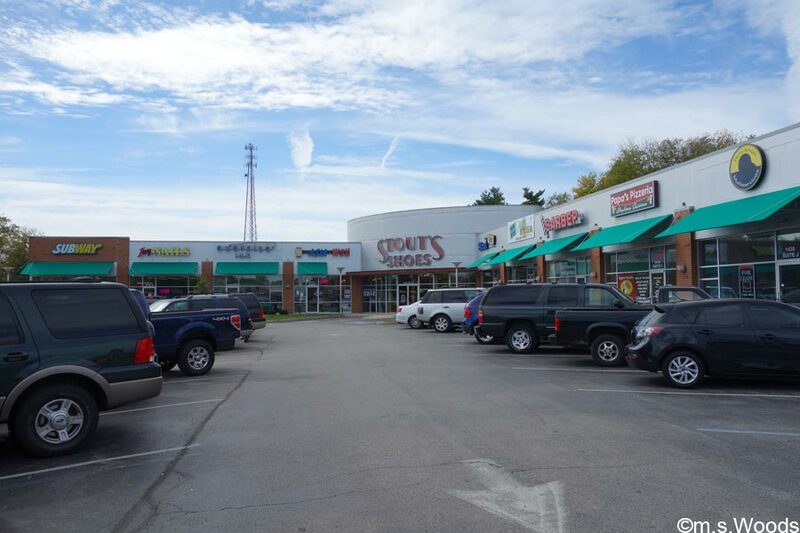 The Brownsburg Shoppes strip mall is located at 1430 North Green Street in Brownsburg. This is a small, neighborhood shopping center that features a number of local and national establishments. 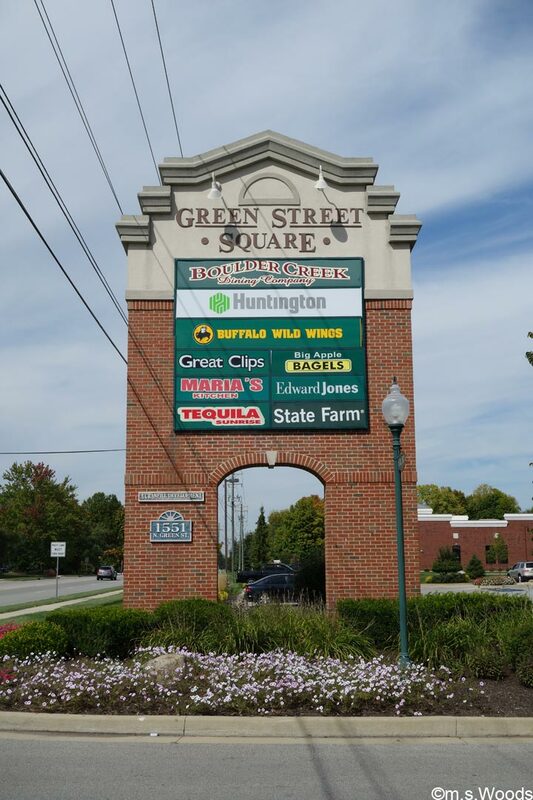 Green Street Square is centrally located at State Road 267 and 700 North, 3 blocks north of I-74 in Brownsburg. This neighborhood shopping center is home to several restaurants and a theater. It offers over 45,000 square feet of shopping space. 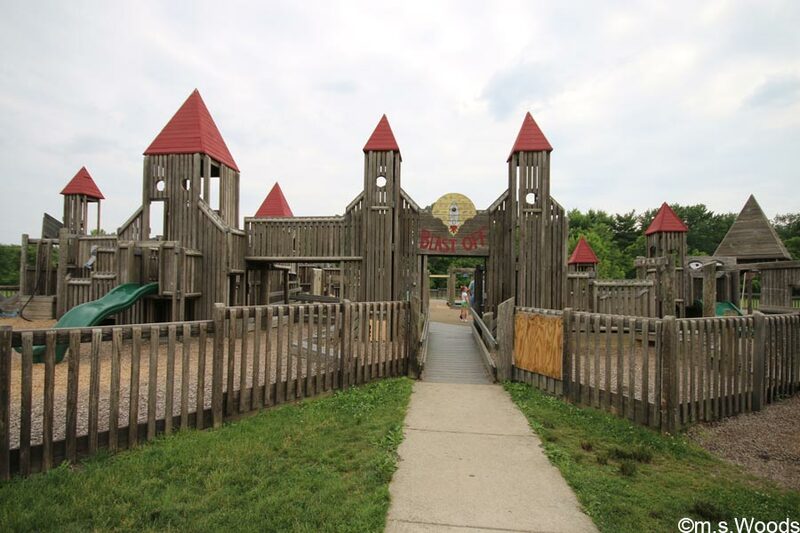 Brownsburg is home to several public parks, each of which offers a unique and inexpensive recreational opportunities the family. Below is a list of the Browsburg parks. 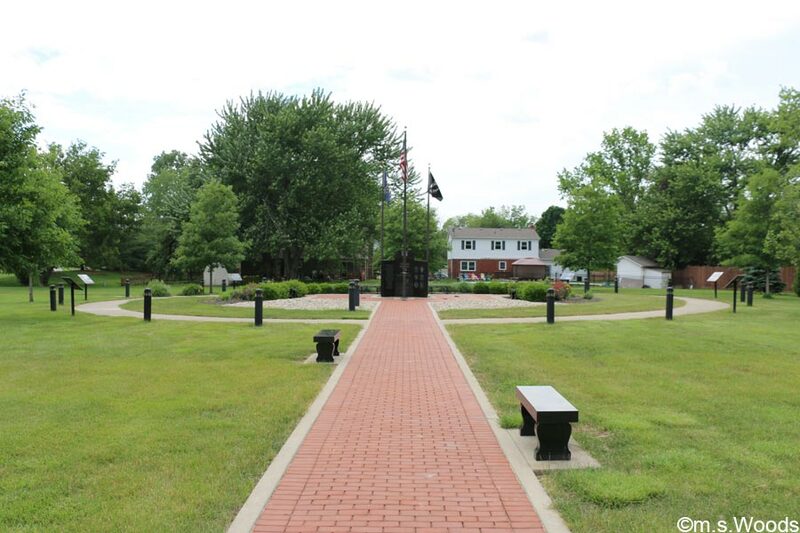 Located at 200 N Green St in Brownsburg, Arbuckle Acres is the oldest park in town. 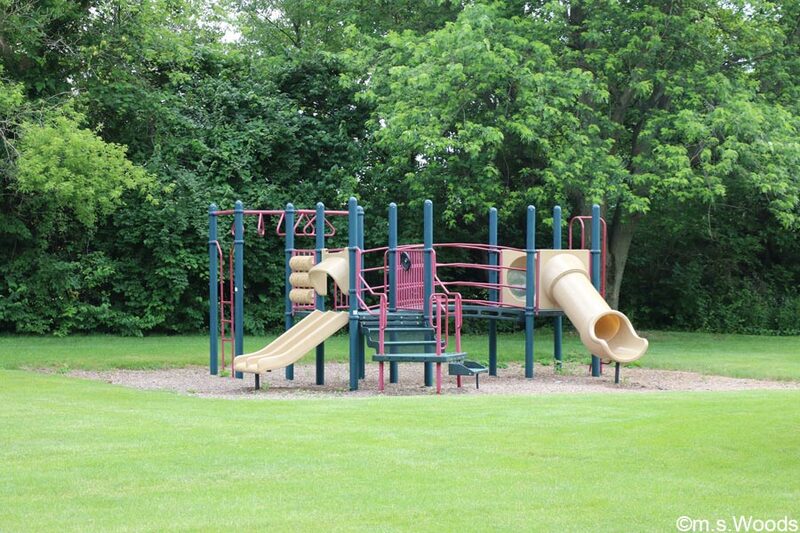 This amazing public park features 68 acres of mature shade trees, and boasts a number of amenities, including a baseball complex, lighted basketball and tennis courts, an 8-foot wide asphalt trail that stretches 1.3 miles, and a playground shielded with a canopy of trees. 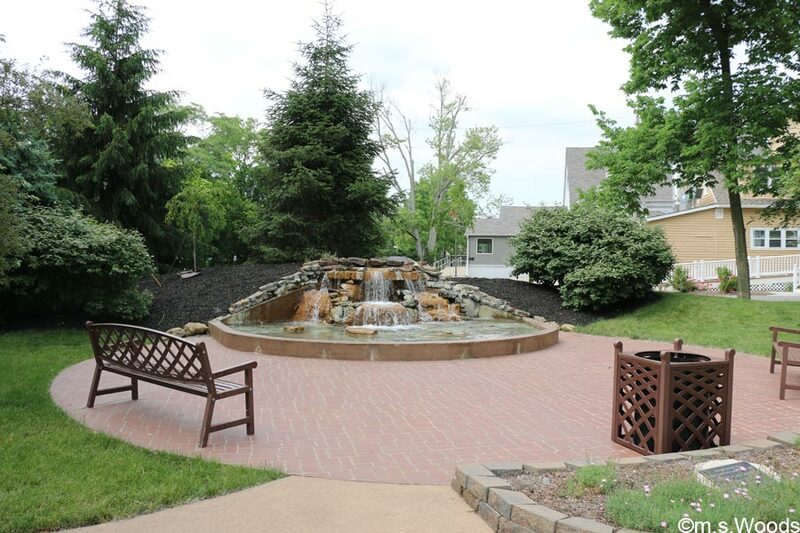 A serene water fountain feature is surrounded by a brick-paved area that includes two benches. 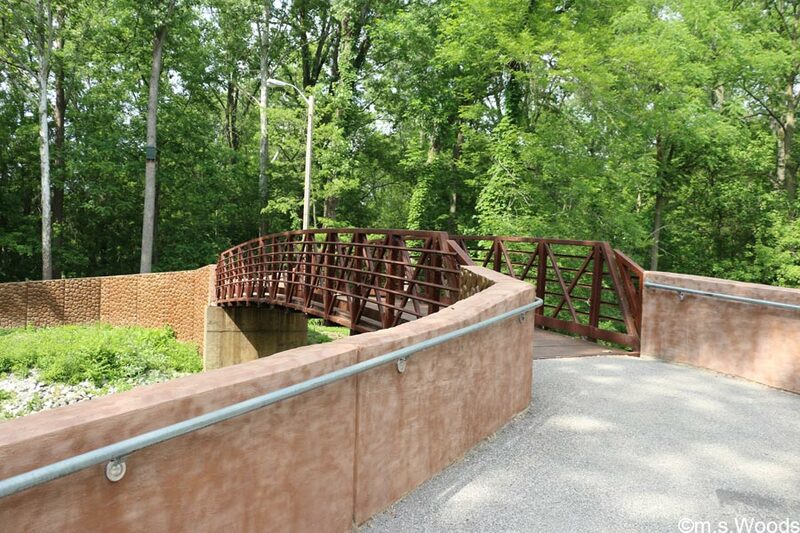 The beautiful bridge featured above is one of the more distinctive architectural features you’ll find in this park. The bridge passes over a babbling brook that cuts through the park, and adds to the natural beauty of the park. 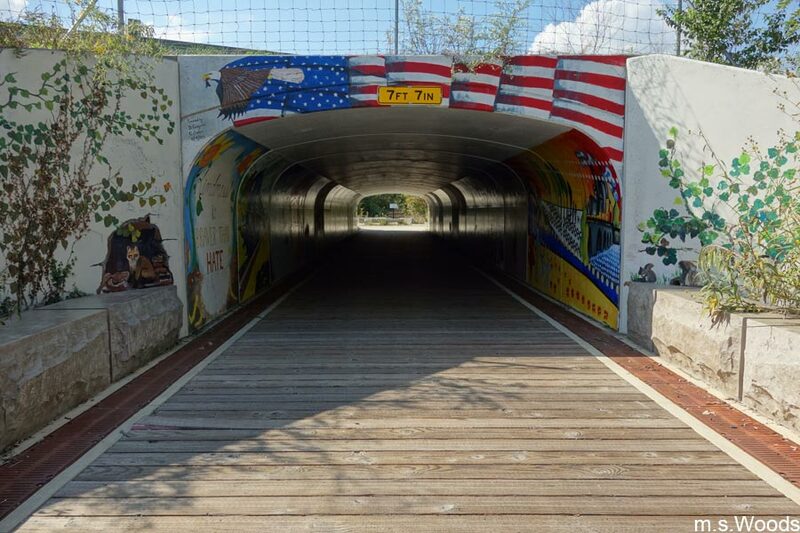 The 8-foot wide asphalt trail runs all the way through the pork, and is great for activities like walking, jogging, biking, walking the dog, and general sight-seeing. 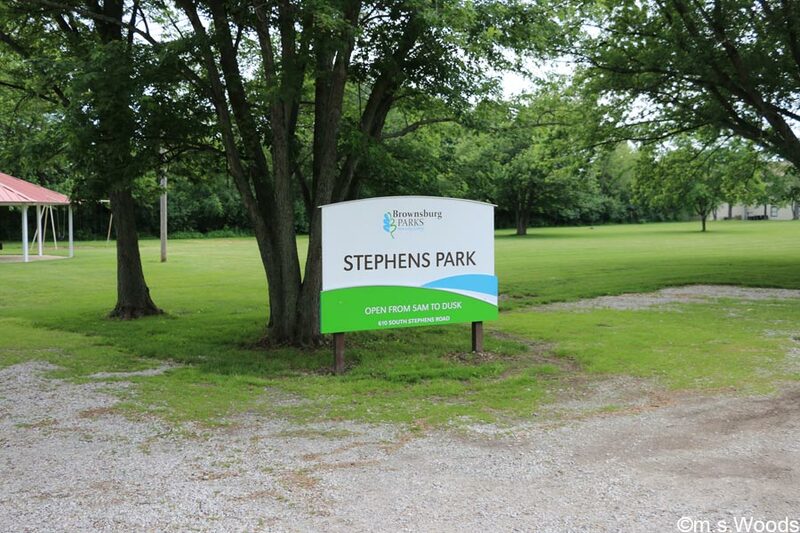 Stephens Park is located at 610 Stephens Road in Brownsburg, just 1 minute north of Williams Park. While it is not a big park, and certainly not the most popular, it nevertheless offers a nice collection of amenities, including a playground, swing set, picnic shelter and plenty of space to roam. The playground is one of the most popular features of the park, with its fun challenges. 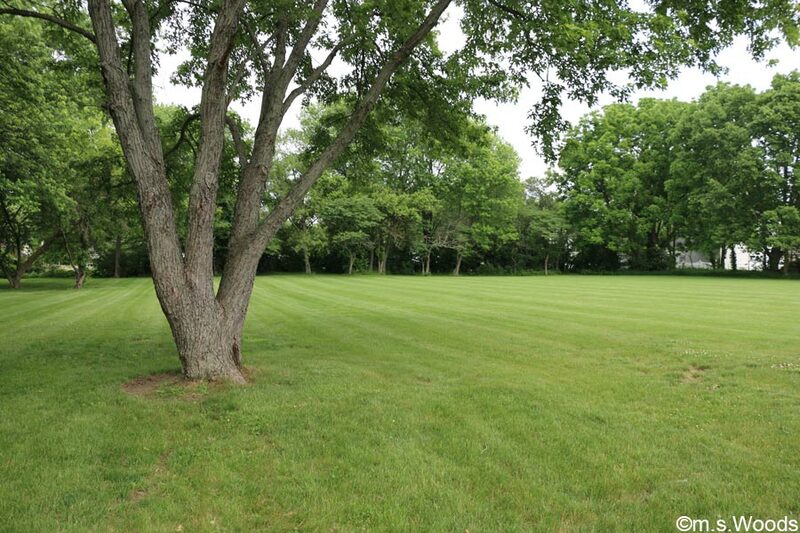 It may not be fancy, but having access to a nice, open green space is great for tossing a little Frisbee, or even enjoying a nice summer picnic. 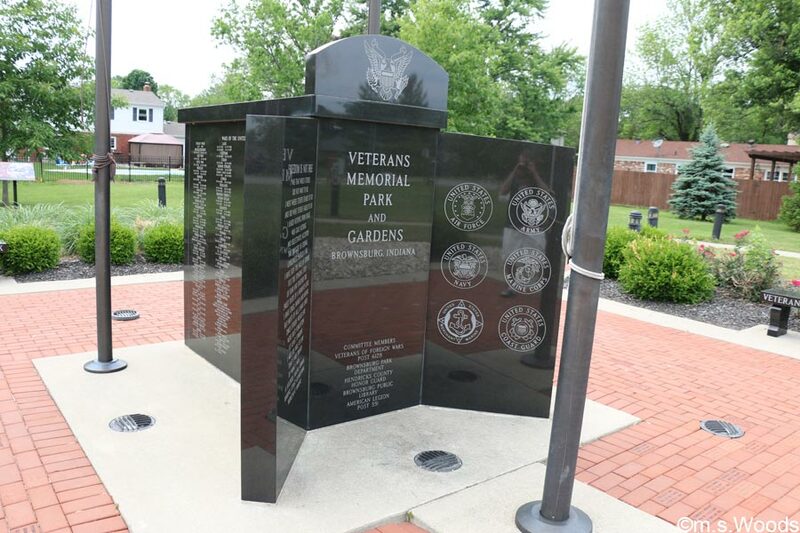 Veterans Memorial Park is located at 940 S. Locust Lane in Brownsburg. 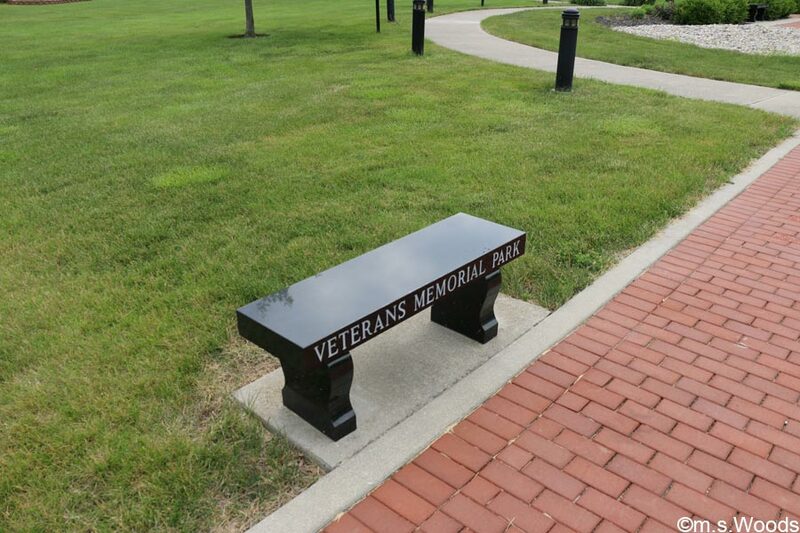 This beautiful park features a granite monument dedicated to war veterans who served in over 30 U.S. wars. Etched into the granite are the names of the individual veterans, which identifies the, as men and women who served our country, along with the dates they served. A long, brick-paved walkway leads up to, and circles around, the centrally-located granite monument. Several benches sit alongside the brick walkway. 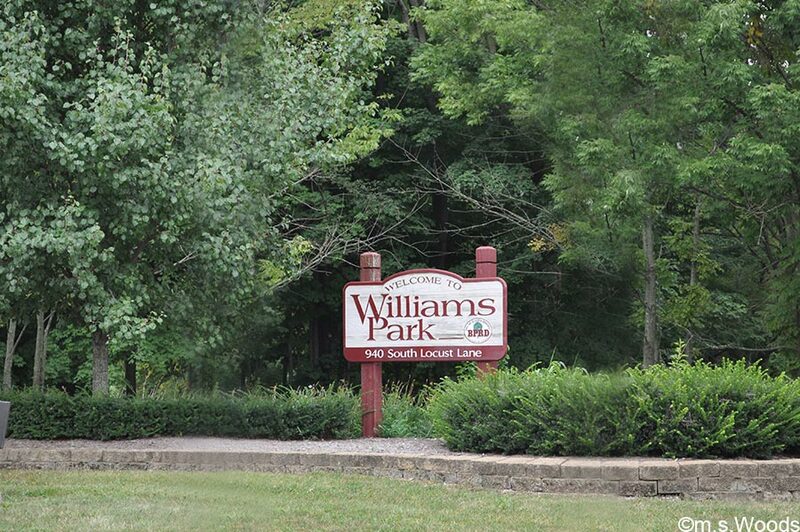 Williams Park is located at 940 S Locust Lane. 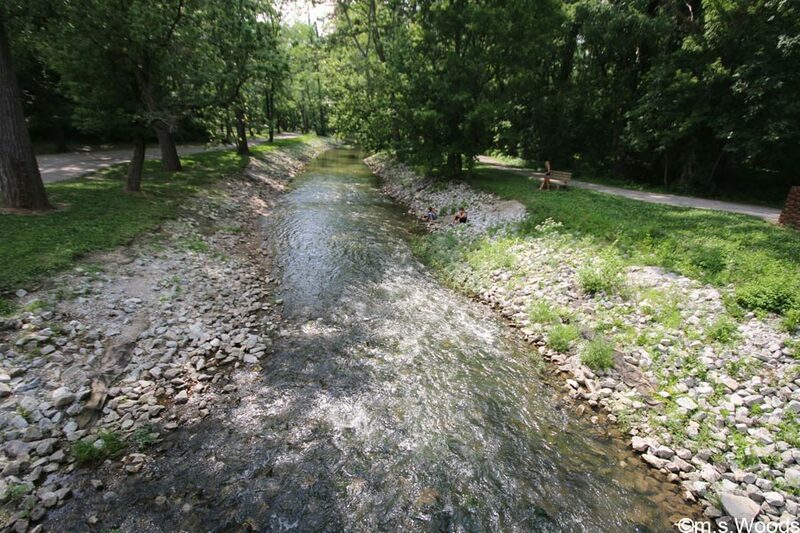 This beautiful, 77-acre park space offers a host of amenities, including a trail that overlooks a 25-foot ravine, several hiking trails, picnic shelters, and a fun playground for the kids. “Blast Off” is an enchanted, space-themed play area that the kids will absolutely love. 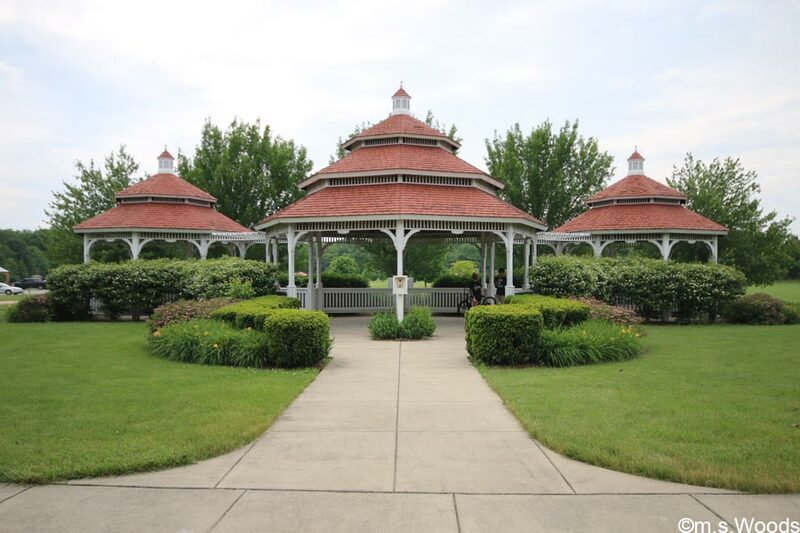 The gazebo area offers a quiet place of contemplation, where park-goers come to rest and reflect. 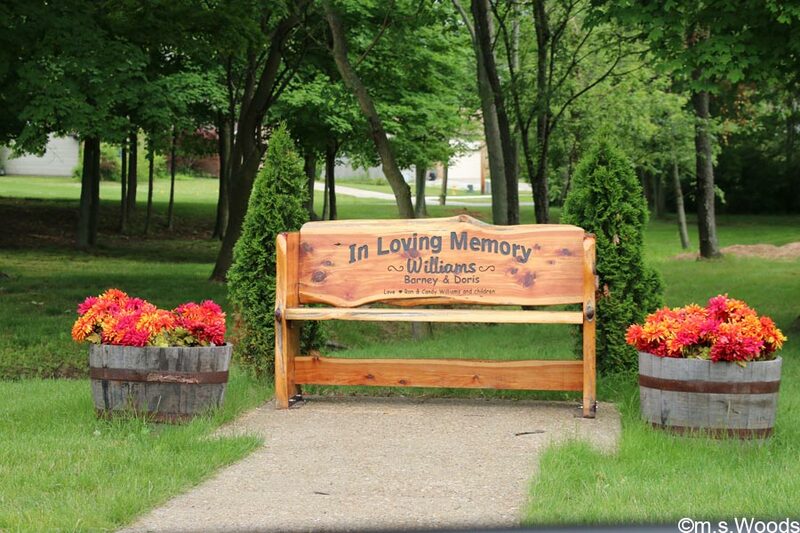 Local residents Ron Williams and his wife Candy had a bench made to honor Ron’s father, Barney, who sold the land where Williams Park sits to the Town of Brownsburg. Here are a few examples of high-end properties currently for sale on the Brownsburg real estate market. You can search and browse all Brownsburg listings here.